Spend your holiday in this ecological and cosy wooden holiday home made of natural &quot;Thoma Wood 100&quot;. Möllendorf is situated in the most south-eastern corner of the Harz region and is part of the city-triangle Lutherstadt Eisleben, Hettstedt and Sangerhausen, approx. 4 km west of Mansfeld. 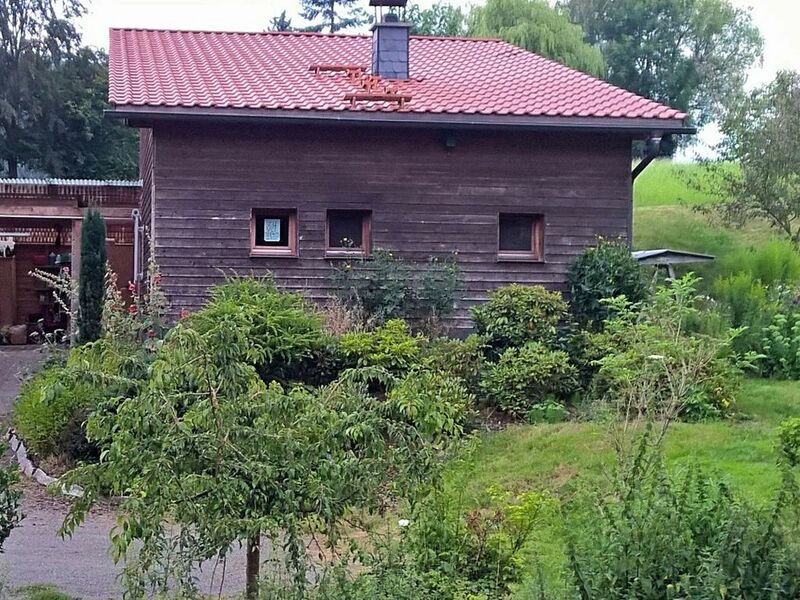 The detached holiday home is located in a very quiet cul-de-sac in a small village. The house sits on a 1,000 sq.m. plot of land and consists of a living space with dining area and kitchen, bedroom with double bed, bathroom and a gallery. All the built-in furniture pieces are handmade and unique. There's also a carport with sauna and timber stock for the iron stove. Enjoy the large south- and west-facing terrace with a seating area and swing hammock. Parking spaces are available directly at the building. Supermarkets and shopping facilities can be found in Mansfeld (4km). Sights: Queste in Questenberg, rose garden and Spengler-Museum in Sangerhausen, Röhrigschacht (mining museum) in Wettelrode, Mansfeld Castle and much more. Diese Ferienwohnung ist etwas besonderes. Wer einfach nur Ruhe und Entspannung sucht ist hier genau richtig.